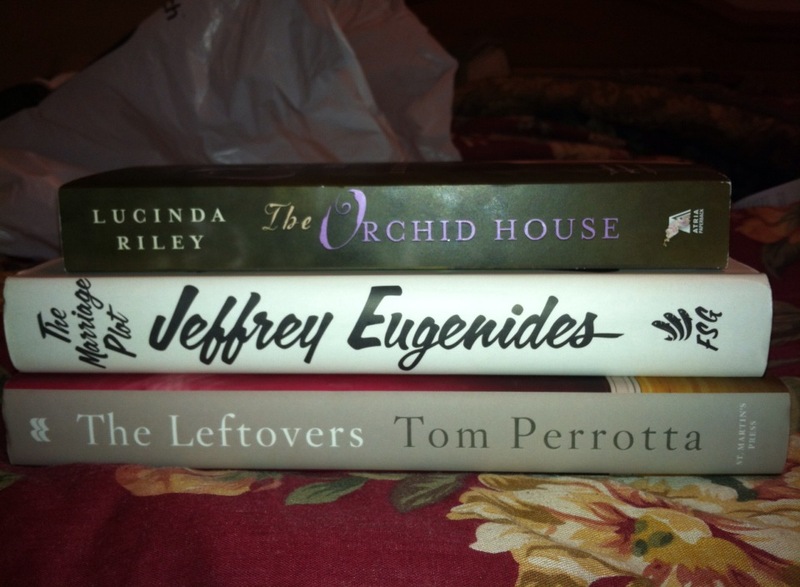 My books from tonight’s visit to the bookstore! Tonight I got a rare opportunity to do something I haven’t done in a while, walk through the bookstore looking at all the wonderful books both new and familiar. I had the notepad on my iphone handy ready to add to the “Books I Want” list. So what did I see? A lot of bargains, for Father’s Day, but also general bargains. I saw the bookstore added new sections geared toward teen paranormal books which I am going to assume began with the advent of “Twilight Saga” by Stephanie Meyer. Sadly, I found the fiction and literature section minimized, and more toys and games sections have broadened. This disappointed me tremendously, because it showed the drastic change in state of the bookstore as many find books electronically or not at all. What happened with an honest to goodness book? While I am not old, by no means (just turned 30 in January) I come from a time when physical books were still treasured. I have yet to embrace the e-readers out there, I love the smell and feel of a book. I fear the future generations won’t have that pleasure, nor will they have the pleasure I had of walking through a bookstore basking the fresh smell of books and sitting in comfy couches embarking on the journey the book has to offer.